The city of St. Louis, MO, is located on the Mississippi River at about 38.6oN and 90.3oW. 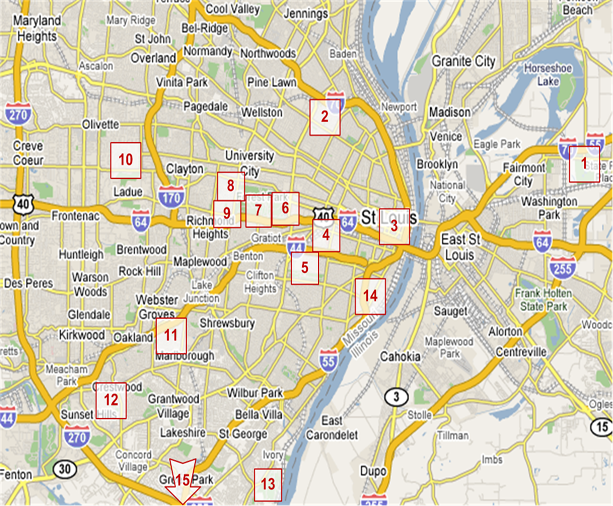 I annotated the map below to show sites that indicate the location of sundials I know about in the St. Louis region. Click on a site in the map or in the list below the map to learn about sundials there.